If elegance is what you're looking for then you may wish to consider this pair of peep toe heels. 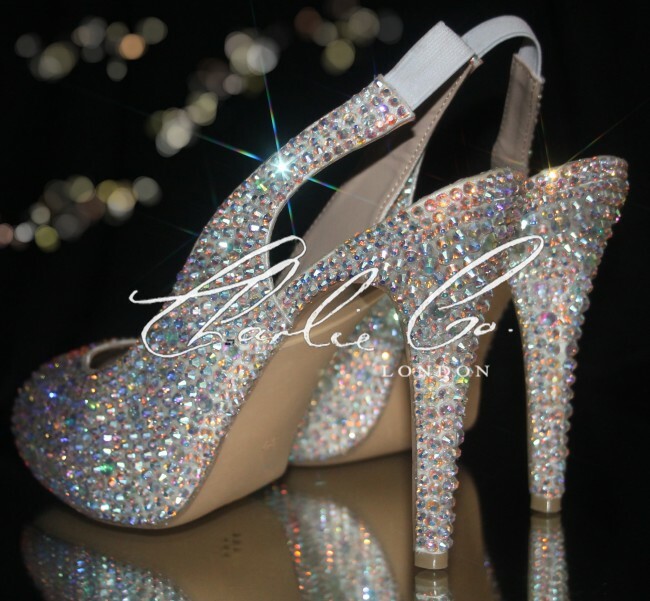 They are perfectly embellished with Grade A clear glass crystals which flow through to the heel of the shoe. The peep toe and slingback design will facilitate proper aeration of your feet. These are also feminine designs which will compliment your nature. The interior of the shoe is made using high quality leather material for your comfort and style. To have your shoes made in the same colour shown please selectCrystal Diamond AB from the colour menu. Another highly recommendable colour for brides isCrystal Diamond A clear crystal which goes with any wedding dress colour!